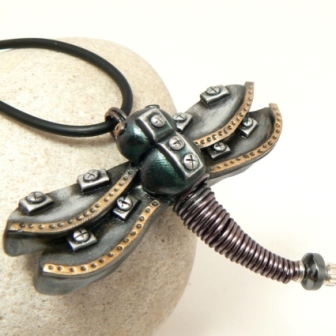 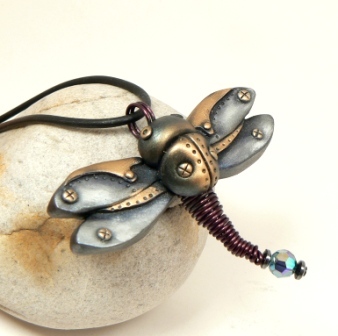 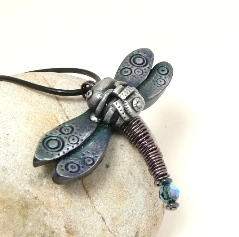 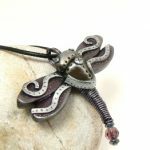 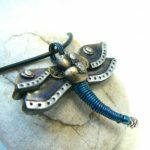 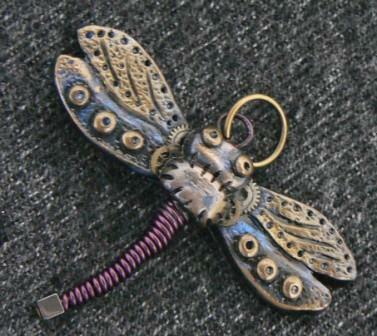 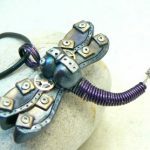 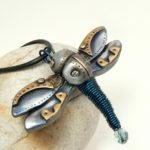 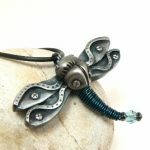 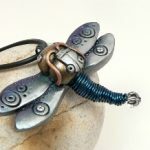 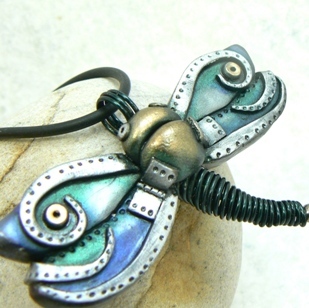 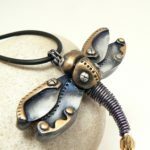 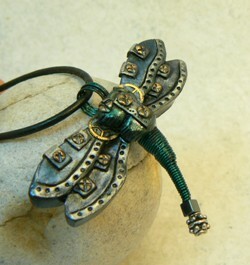 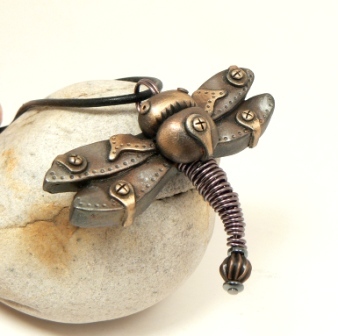 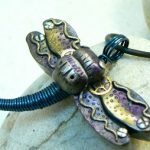 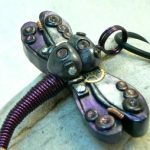 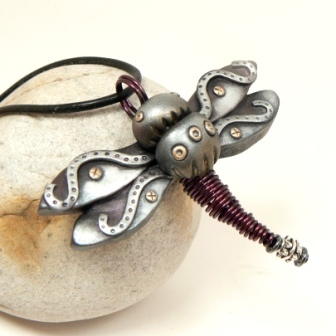 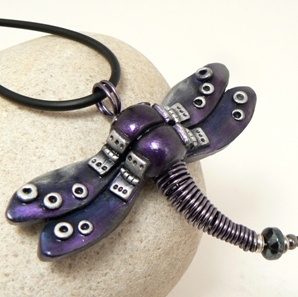 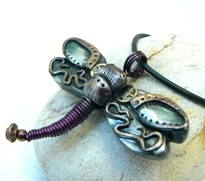 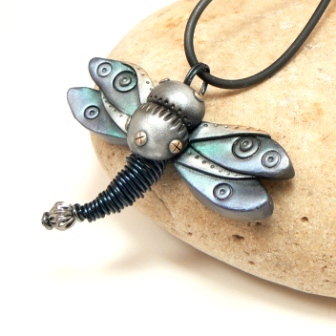 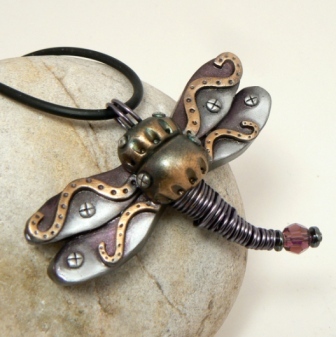 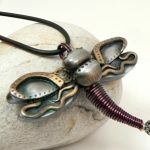 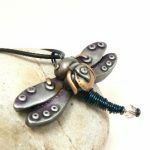 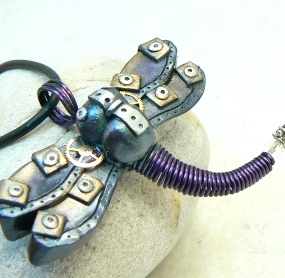 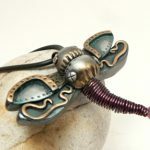 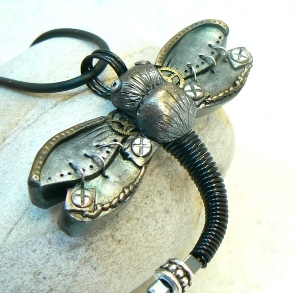 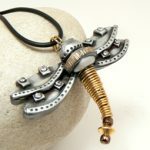 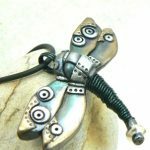 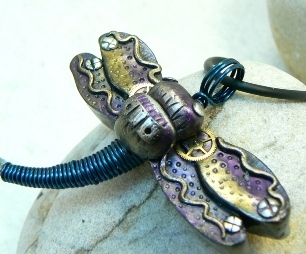 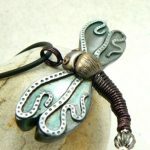 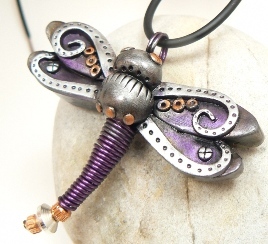 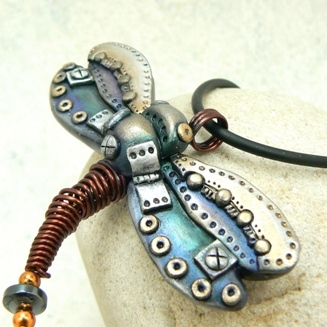 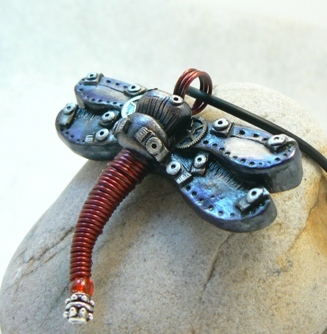 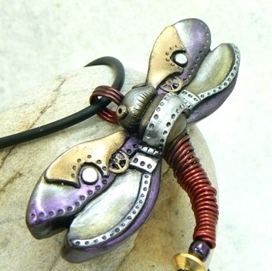 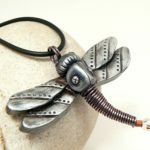 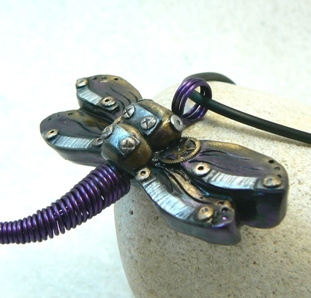 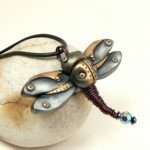 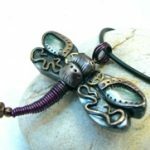 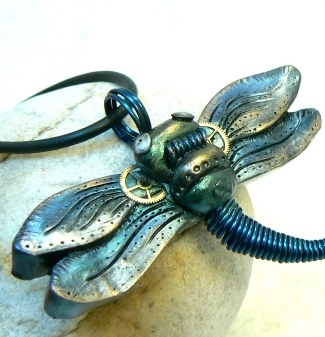 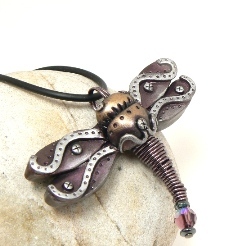 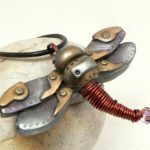 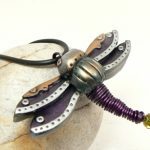 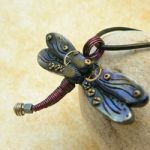 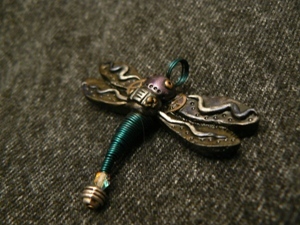 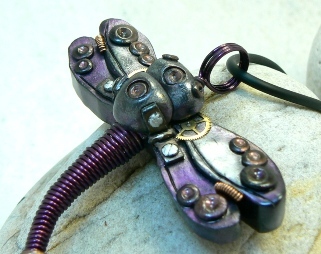 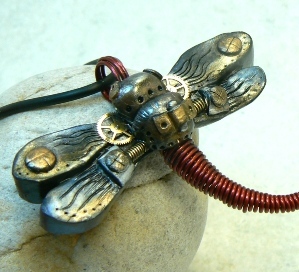 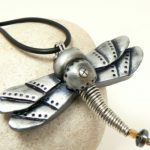 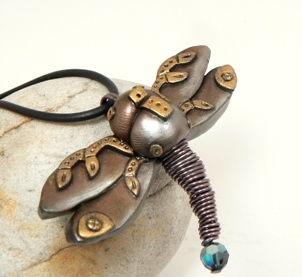 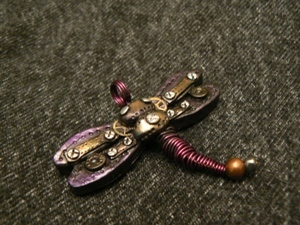 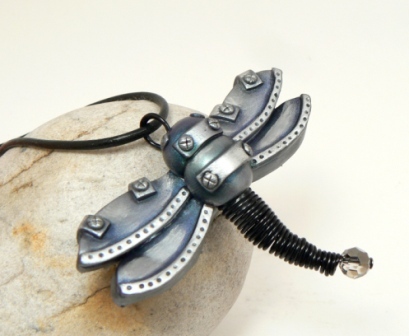 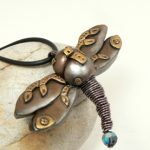 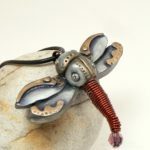 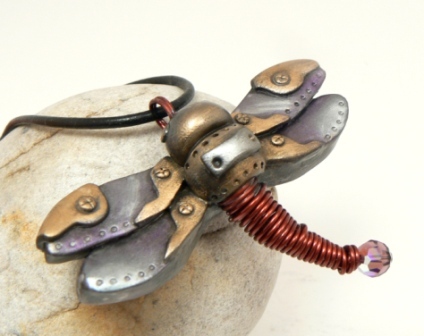 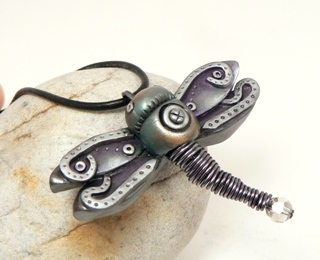 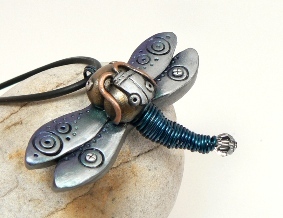 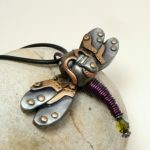 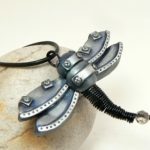 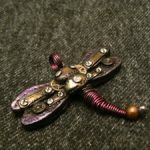 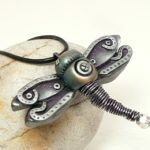 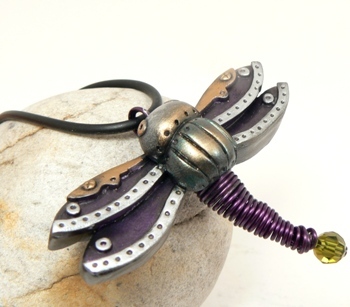 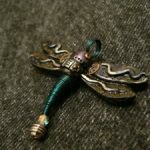 My dragonfly pendants in my steampunk, cyberpunk, post apocalyptic style. 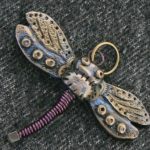 I adapted these dragonflies from my own original woodworking scroll saw pattern from years ago when I was designing and making painted woodcrafts, I realize now that even then I was headed this way…those wooden dragonflies had wire faux-attaching each body segment to the next =) But here they are, from the very first one…I apologize for my early photography lol and for the Boozer hairs I see now in so many pics, omg, I don’t allow him in this room anymore lol So anyways, they’re polymer clay, I handcraft each one and use wire for the bodies with metal beads or swarovski crystals for the tail ends, some have watch gears on the wings. 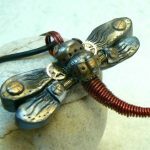 Completely original and I try to make each one unique. Find dragonflies in my online shop!